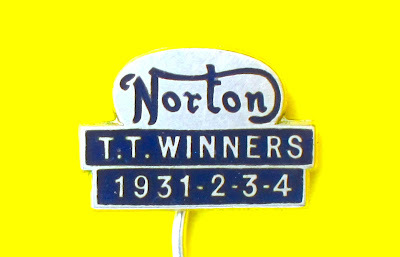 "The badge was made by H.W. Miller ltd Branston St. B’ham 18 as written on the reverse and is in the same dark blue enamel as the cufflinks. The badge has a safety device in the form of two bendable strips that do not allow it to be pulled easily off the lapel. 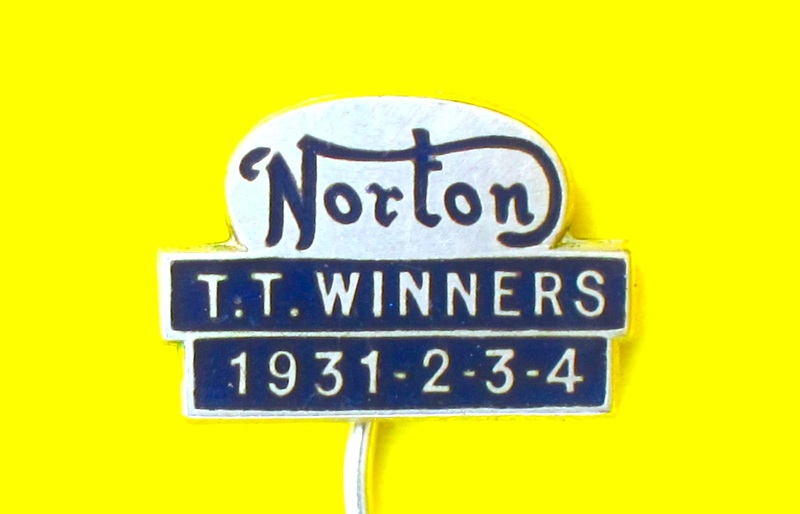 Thanks to wearing this badge at the right moment at work in the 1980s I was approached by a local sheet metal worker who enquired what was my connection with Norton. I told him that I collected mostly Norton machines. He invited me to pick up an old Norton from his parents' farm 100km from Riga. I went there the next weekend and found an almost complete Model 18 from 1930. Later in his attic I found many travel booklets from around europe where the chap had been traveling on his motorcycles. Among the paperwork I found a Jaeger speedometer - mountable on the Norton front fork. This bike and the speedo were free gifts. At the time we had the iron curtain, the borders were closed and people did not look at these bikes as investment or way of earning quick money … those were the days! I attach a photo of the bike taken at the time - the original engine I got a week later. The exhaust pipe and silencer are original and still in reasonably good shape. 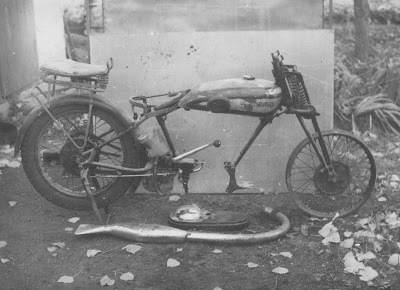 Petrol and oil tanks are welded and the petrol tank still has its correct knee grips."